Cold Dude Computers: Magazine: Club Penguin Magazine now Available in Different Places! Magazine: Club Penguin Magazine now Available in Different Places! Recently Club Penguin's Support Twitter tweeted that you can subscribe to the magazine online! The full tweet is below. 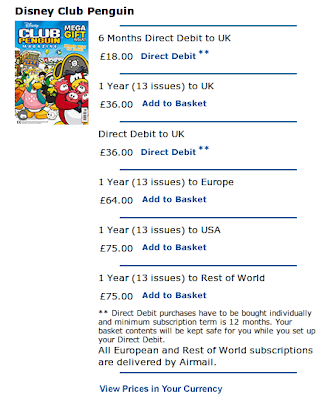 So that means it is now possible to get the UK magazine in USA and Europe! All you guys have been asking for it and Club Penguin have listened! And you going to subscribe? Leave a comment and let us know!